What’s Behind the Pentagon’s Push to Build New Bases in Iraq and Syria? 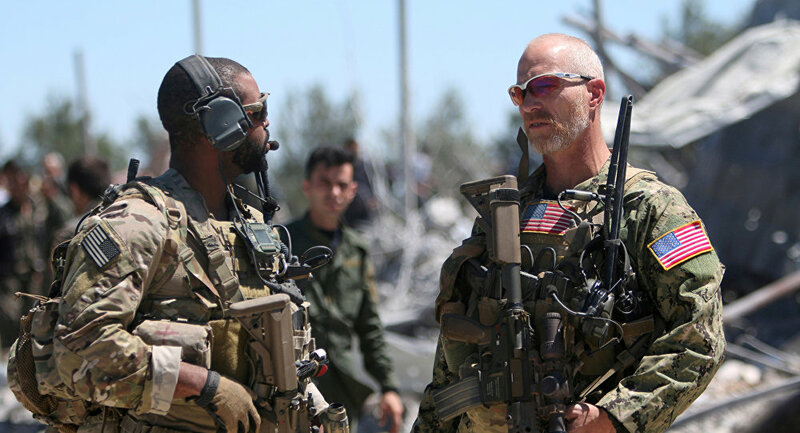 The Pentagon expansion would allow US military assets in the area to reach out and and attack known remaining Daesh strongholds in the region, according to Corri Zoli, director of research at Syracuse University's Institute for National Security and Counterterrorism, cited by al-Monitor. "It looks to me like what they're trying to do is get a little more maneuverability to create some infrastructure for deepening the fight beyond Raqqa and Syria," Zoli said. "It's kind of an attempt to create a lily-pad structure in the Levant to go after [Daesh] and their entrepreneurial efforts to start miniature caliphates in the region," she added, according to the al-Monitor report. The request to expand US military operations in the area comes directly from James Mattis, the current US Secretary of Defense, who "is thinking a couple steps ahead. He wants to win the peace, stabilize the region and militarily pressure Iran," according to Zoli. Many on Capitol Hill, however, note that Mattis's tactics will draw the US deeper into Syria's densely complicated civil war. "The US is shooting down Syrian warplanes and Iranian-made drones and launching cruise missile attacks. It opens the spigot for them to establish those kinds of facilities and further entrench the US military presence in Syria for this unauthorized war," according to Kate Gould, a lobbyist with the Quaker group Friends Committee on National Legislation, cited by al-Monitor.